In an idyllic coastal region near Marina di Pisciotta, on a slope covered with macchia, lies Casa Franca, a holiday home built in 2005. Large windows and a spacious terrace define the holiday home, which accommodates up to 8 persons. Here, above the picturesque steep coast, sea blue meets olive tree green. 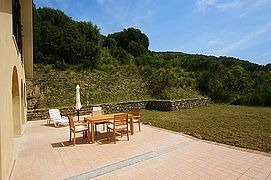 You enjoy a marvelous, unobstructed view of the wide Tyrrhenian Sea and of the coastal landscape typical for the Cilento! The steep coast lies only ca. 150 m from Casa Franca. A stepped path takes you down to a narrow bathing spot, but accessibility depends on the state of the sea. Please mind that, every now and then, the path might not be open due to weather conditions. It is, however, only ca. 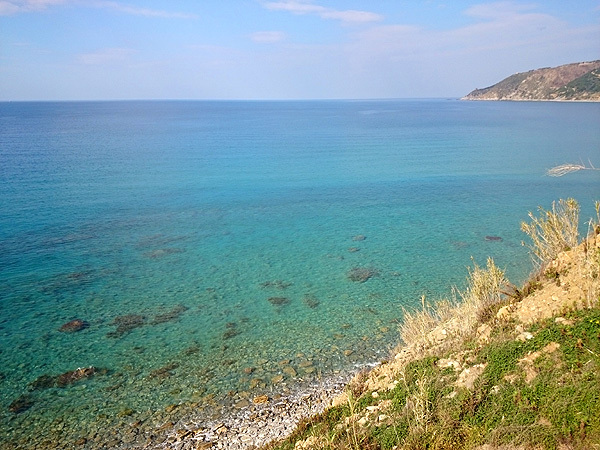 800 m along a narrow foot path to the beach of Marina di Pisciotta. A spacious, furnished terrace runs along two sides of the house. It is partly roofed on one side, which provides for pleasant shade on hot August days. 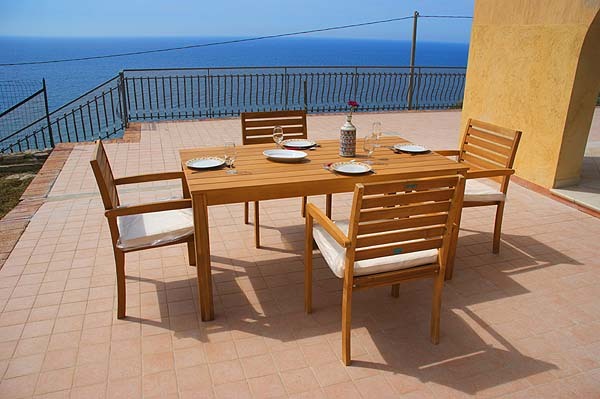 But even from there, while relaxing in the shade, you have got that fantastic view of the sea. From inside the house, through the large arched windows facing the sea, it is within your sight, too - the calming vastness of the sea. The ground floor of Casa Franca includes a large living area with modern built-in kitchen and dining area with air conditioning. 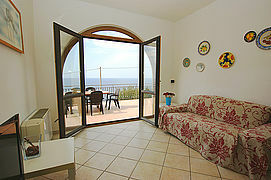 From the sofa corner and Sat-TV you have got a view of the sea lying at your feet as well as access of the terrace. One of the double bedrooms, a twin bedroom with access of the sea view terrace, a bathroom as well as a small store-room behind the kitchen are also located on the ground floor. The bathroom is equipped with bathtub with shower device, WC, bidet and washing machine. A spiral staircase runs up to the first floor with two more bedrooms (a double bed and a twin) and another bathroom with shower cabin, WC and bidet. 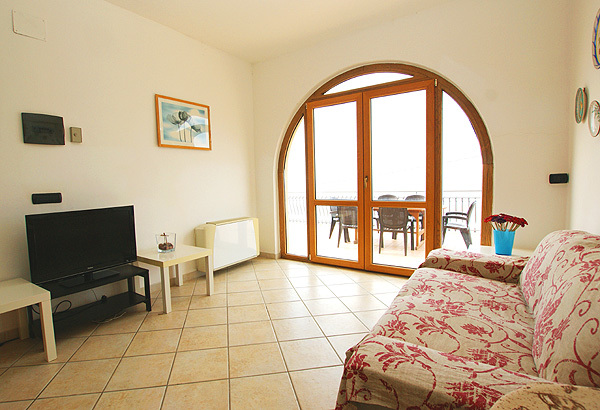 The double bedroom with air conditioning opens onto its 'private' sea view roof terrace. There is an outdoor shower next to the terrace, to the side of the house. Parking is available at the house, below the terrace. 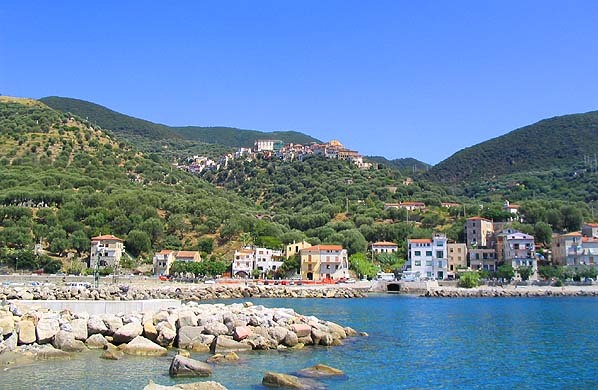 The center of Marina di Pisciotta with a small grocery store, bars and restaurants is about 1.5 km off. Beautiful beaches are also found there. Nearest train station: Pisciotta-Palinuro (ca. 4.5 km). 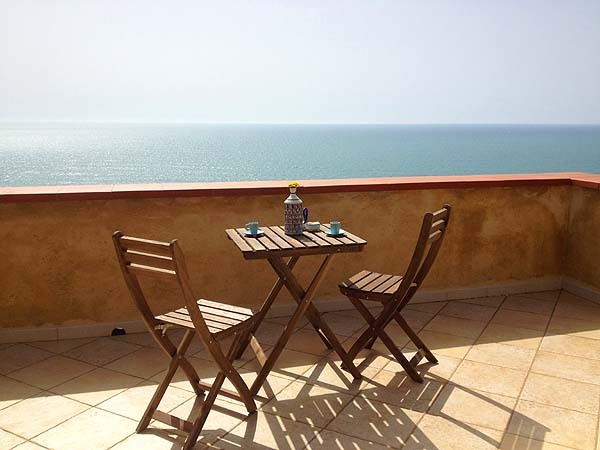 The terrace of Casa Franca offers a marvelous view across the wide Tyrrhenian Sea and of the charming coastline. 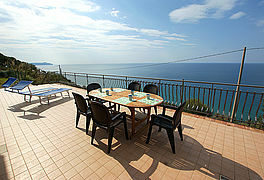 The sparkling sea below the steep coast of hamlet Acqua Bianca where Casa Franca is located. 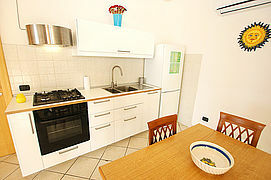 The modern kitchenette with dining area. 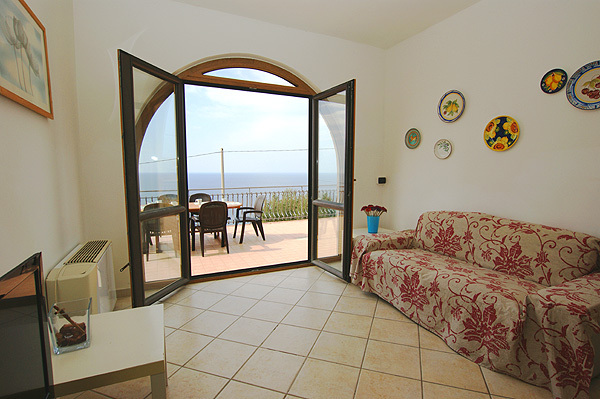 The large panorama windows in the living area face the sea. 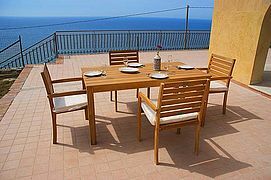 From the holiday home's large terrace your gaze roams as far as Capo Palinuro. 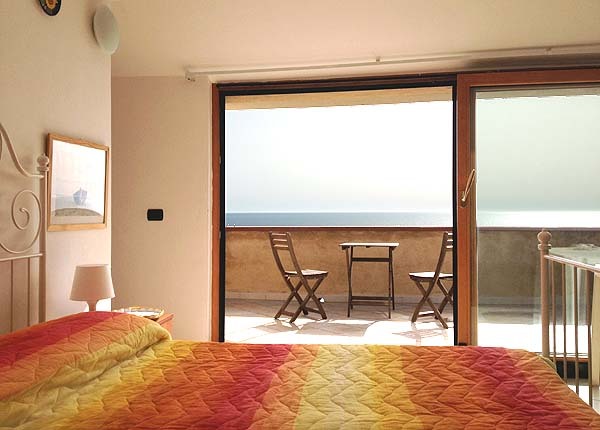 The bedroom with double bed and large wardrobe on the ground floor of Casa Franca. Next to the double there is a bedroom with twin beds and direct access of the sea view terrace. 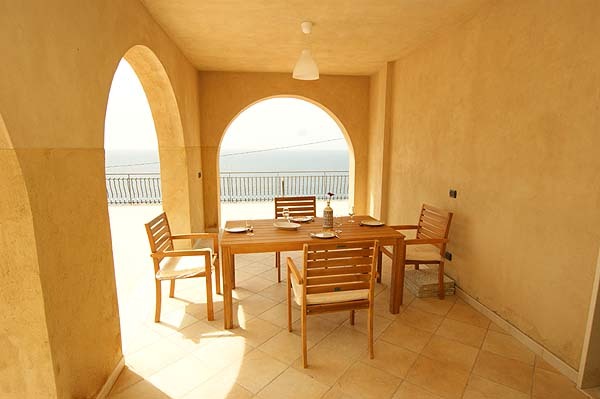 Only 150 m to the steep coast, only 800 m to the beach of Marina di Pisciotta: holiday home Casa Franca for 8 guests (here: the lower terrace). The roofed part of the terrace. 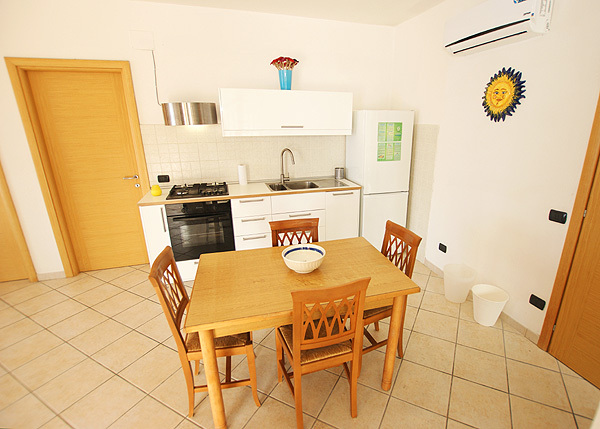 The living room is furnished with air conditioning, sofa and TV. 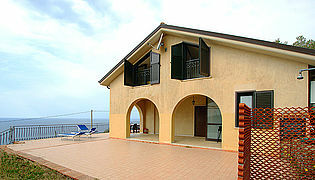 Casa Franca and the large outdoor area with sea view, as seen from the outdoor shower. Next to the terrace there is a small plot of green. The kitchenette of the holiday home. 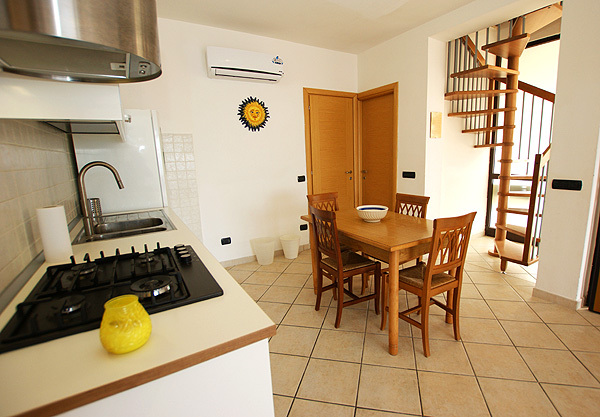 The upper floor of Casa Franca with two bedrooms and a bathroom is accessed via a spiral staircase. 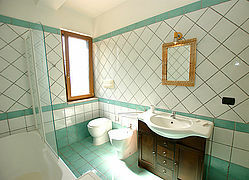 The bathroom on the ground floor of Casa Franca. 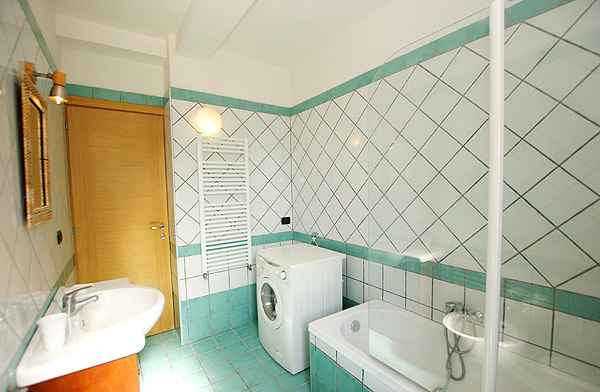 This bathroom is furnished with a bathtub and a washing machine. The bathroom on the upper floor is furnished with a shower cabin. Stepped path leading down the steep coast. ... you might let the day fade away at a good restaurant at the local harbor. Was uns an der Region neben der Wasserqualität und der Landschaft, am besten gefallen hat, waren die Ruhe und die Ursprünglichkeit sowie die Dörfer und die ganze Lebensweise. In der Casa Franca hatten wir viel Platz und eine tolle Aussicht. Super waren auch die Terrassen (teils überdacht) und die Außendusche. Folgende Tipps haben wir für andere Urlauber: Mit einem Leihboot kann man wunderbar eine Bootstour entlang der Küste unternehmen. Und das Caffè del Capitano direkt an der Uferpromenade können wir auf jeden Fall sehr empfehlen. 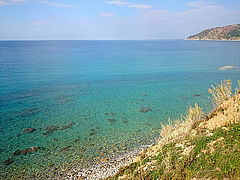 Alles in allem war es in Marina di Pisciotta nicht so überlaufen, noch sehr ursprünglich und recht entspannt. Deshalb würden wir gerne noch einmal hierher kommen! Unser Urlaub in Marina di Pisciotta war sehr schön – uns hat vor allem die Ursprünglichkeit sehr gefallen und dass es dort wenig überlaufen war. Absolutes Highlight der Unterkunft: die Lage! Für einen Ausflug können wir die Bootstour rund um das Capo Palinuro sehr empfehlen. Wir kommen auf jeden Fall wieder, da wir noch längst nicht alles gesehen haben! Die Casa Franca ist eine sehr schöne Unterkunft mit besonderer Lage und toller Aussicht! 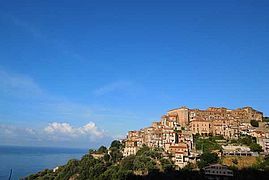 Der Ort Pisciotta, die dortige Gastfreundlichkeit und die Landschaft haben uns sehr gefallen. Gerne wieder, weil es sehr erholsam und nicht überlaufen ist! Entfernt vom großen Tourismus hat der Cilento wunderschöne Natur zu bieten. Das Meer ist traumhaft, mit herrlichstem, glasklarem Wasser. 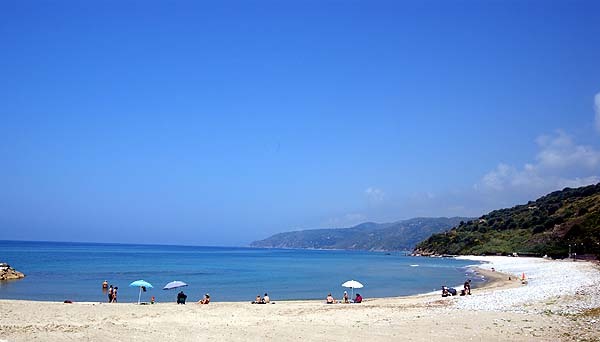 Der Strand von Marina di Pisciotta ist überschaubar, aber wunderbar. Die Casa Franca liegt wunderschön am Berg mit einem gigantischen Blick aufs Meer. Jederzeit gerne wieder! Wir haben hier einen schönen und reinen Erholungsurlaub verbracht! 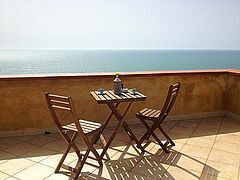 Besonders toll fanden wir die große Terrasse und den wunderbaren Ausblick auf das Meer! Unser Fazit: Wasser, Wetter und Natur einfach super - wir kommen wieder! Prices are valid per week and for the number of persons given in brackets and include bed linen, towels and final cleaning. 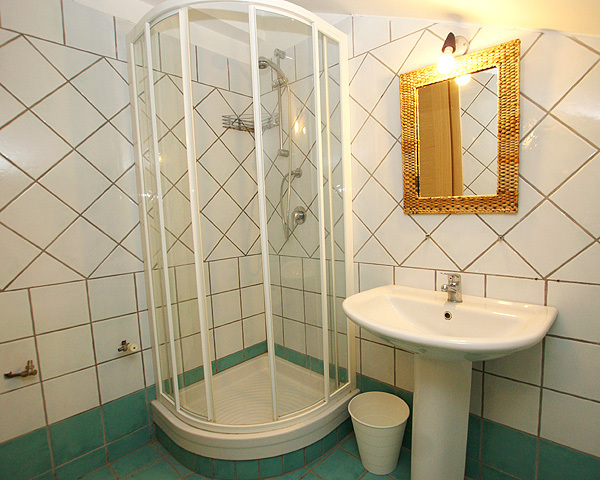 Daily cleaning / cleaning several times per week on request: 10 € per hour. - Heating (electric heaters) is charged on the spot according to use. - Air conditioning on request and for a fee.